Your introduction to San Francisco’s history and culture, its most charming neighborhoods, and Golden Gate Park. Alamo Square’s Postcard Row of Queen Anne Victorians, one of the most famous views in San Francisco. 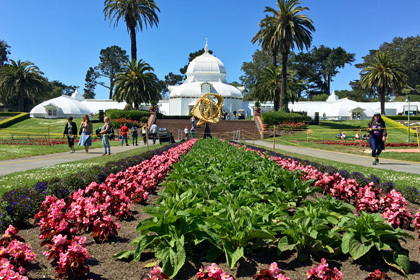 It’s hard to believe the Conservatory of Flowers, and the rest of Golden Gate Park, was built on shifting sand dunes. Golden Gate Park’s de Young Museum is awe-inspiring – for young and old. Haight Street is filled with funny sites and funky shops. These legs belong to Piedmont Boutique. Haight-Ashbury, birthplace of the Grateful Dead, is famous for its hippie revolution 50 years ago. The Haight-Ashbury neighborhood is filled with Victorians, including these colorful Queen Annes. 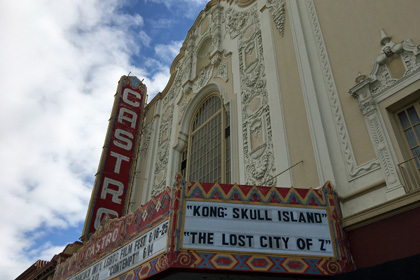 The Castro neighborhood is anchored by the Castro Theatre, San Francisco’s most famous – and most ecclectic – movie theatre. Even crosswalks are happier in the Castro. 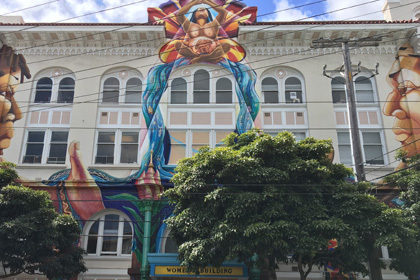 The Women’s Building’s MaestraPeace Mural is perhaps the Mission’s most famous. 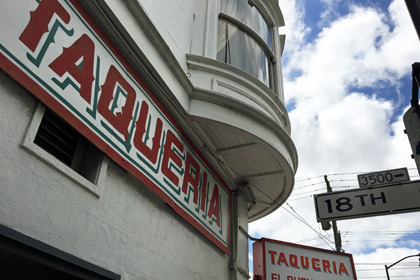 A surprisingly large proportion of San Franciscan’s diets consists of Mission-style tacos and burritos. 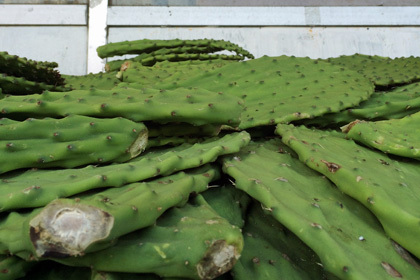 Pick up some nopales at one of the many Mission-district markets. 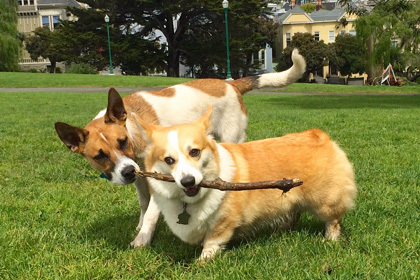 These Alamo Square hounds will tell you dogs rule in San Francisco. In fact, SF has more dogs than kids. 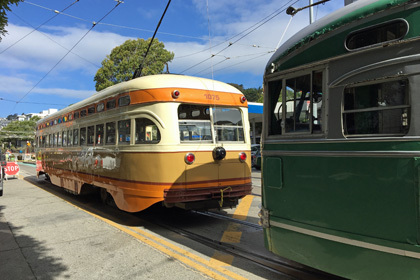 Cable cars get all the glory, but SF’s old-timey streetcars deserve a ride as well. You’ll get to know San Francisco’s patchwork of neighborhoods on the Classic. The Classic Bike Tour is your introduction to the city’s colorful history and cultures, with routes through its most vibrant neighborhoods, including the Mission, Castro, Haight-Ashbury, and Alamo Square. You’ll see how SF has been shaped by waves of settlers, from Spanish missionaries to Silicon Valley techies. 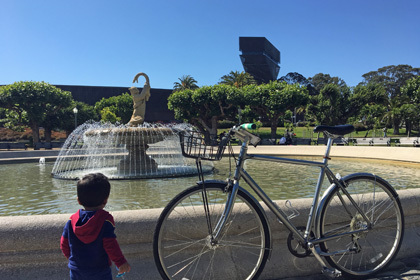 Join us as we pedal past dazzling murals, Victorian row houses, famous viewpoints, thriving commercial districts, and gems of Golden Gate Park. You’ll surely come away with new perspectives on the city, and you’ll have plenty more ideas about where to go next. The Classic minimizes the hills and uses the gentlest ascents possible. This tour is designed for anyone comfortable on a bike with a modest level of fitness. We don’t stop for lunch on this tour, but we do include a snack stop. This tour starts and finishes at our shop in Hayes Valley. The address is 370 Linden St., San Francisco, CA 94102. Hayes Valley: Our start and finish. A local’s favorite with boutique shops, cafes, and a busy park on sunny days. 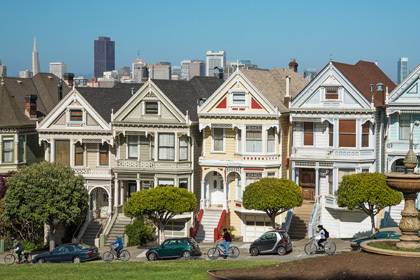 Alamo Square: Home to the Painted Ladies and one of the most iconic views in the city. Nopa: Residential neighborhood filled with Victorian architecture. Panhandle: The handle to Golden Gate Park’s “pan,” this narrow park boasts redwood, cypress, and pine trees. Golden Gate Park: The city’s ultimate treasure, it is where we go to run, ride, play, and think. Haight-Ashbury: The famous 1960’s hippie hangout and former home to the Grateful Dead, Janis Joplin, and more. Lower Haight: Less famous than its Haight sibling up the hill, Lower Haight boasts hip shops, local bars, and the famous Wiggle bike route. 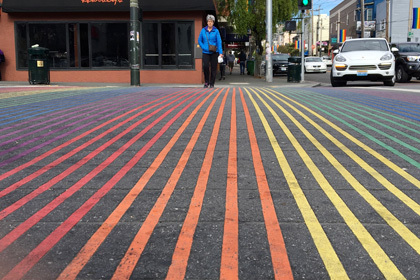 Castro: Vibrant, colorful, and rooted in activism, the Castro is sure to put a smile on your face. Mission: Dynamic neighborhood with Latino roots and an abundance of historic murals. City Bike with 7-8 speeds & upright sitting position. Regular and “step-through” frame styles available. Brands include Public, Specialized, Breezer, and Civia in a variety of colors. Please Note: Our tour routes vary day to day. Your tour’s route will probably differ slightly than the sample route below. Prices include bicycle and helmet. Gratuities not included – please consider tipping your guide. Booking for one person? Great – we love solo travelers! Please note we require 2 or more participants to run a tour. If you are the only one booked the day before a tour, we may ask you to move to a different tour or give you a full refund. We take safety very seriously. Our tours take you on San Francisco’s safest bike lanes, bike routes, and quiet streets. We provide safety instructions before each tour. Helmets (provided) are mandatory. We offer bike tour participants a 30% discount on bike rentals at our sister company CityRide Bike Rentals. We include a rental discount code in your bike tour confirmation email. Make sure to enter this code when reserving your bike rental online at the CityRide website. Please contact us if you don’t find it or have any questions. Don’t forget: Enter code “winter” to get 20% off. We promise to not sell or share your info.